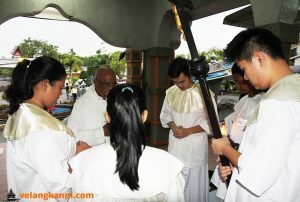 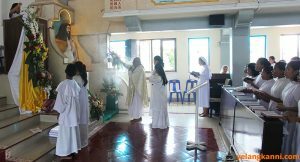 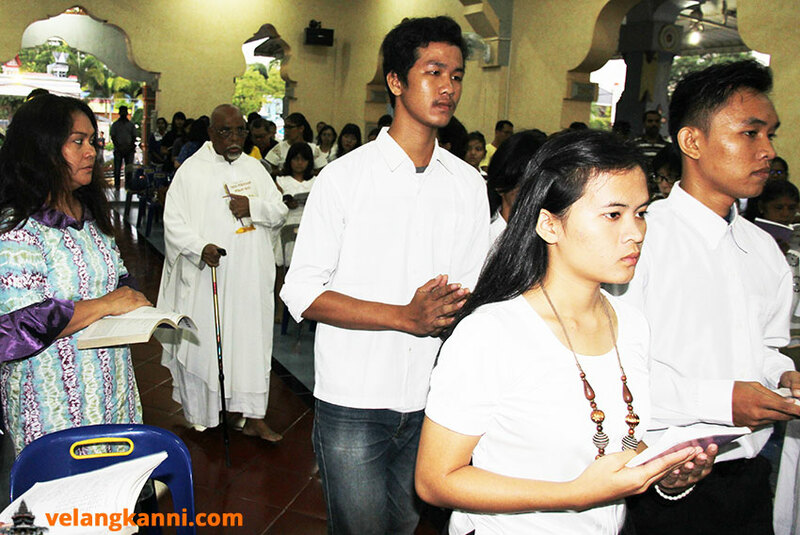 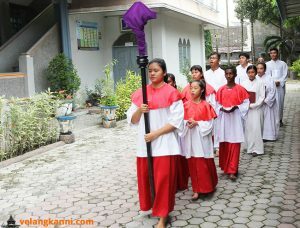 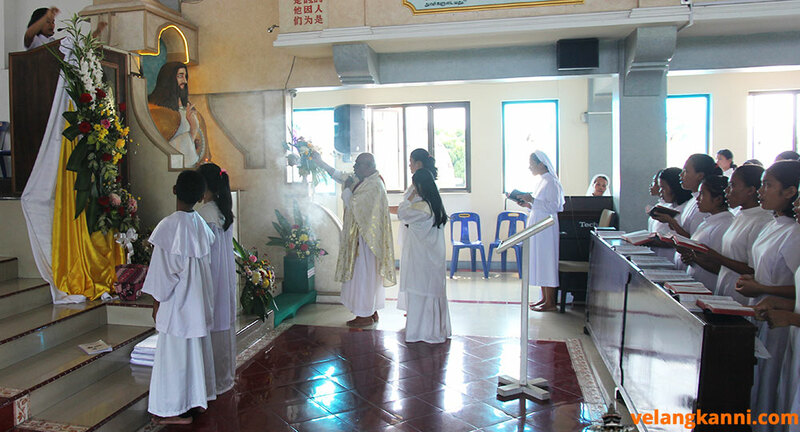 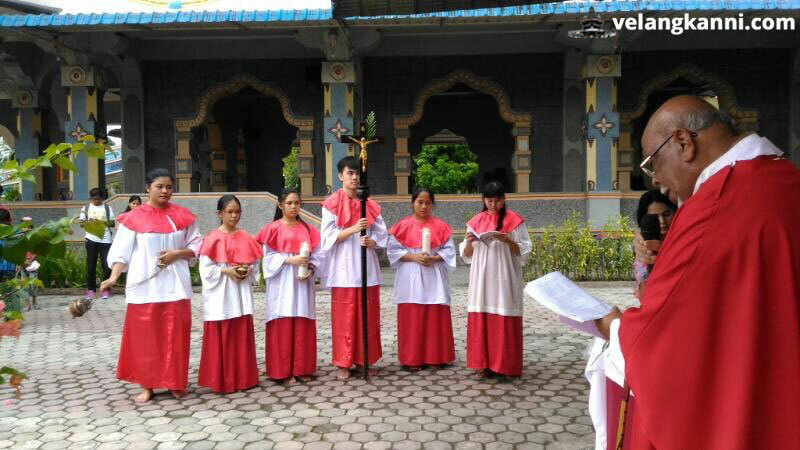 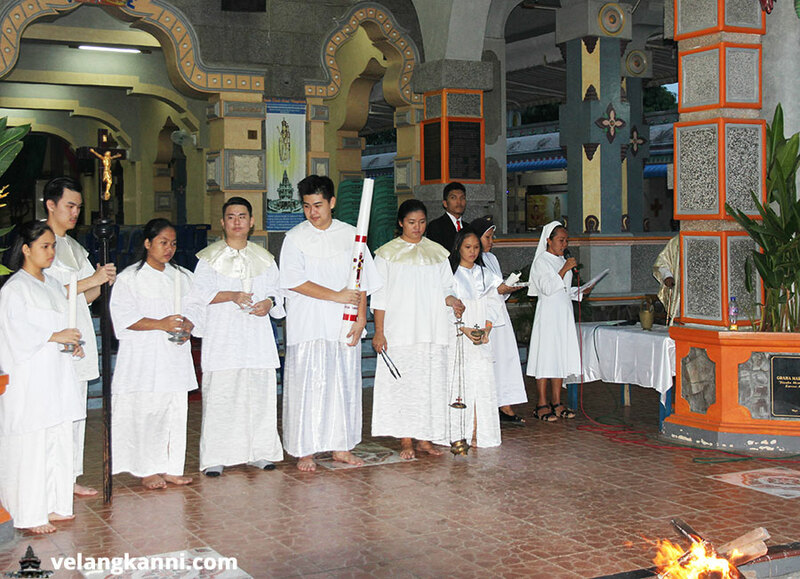 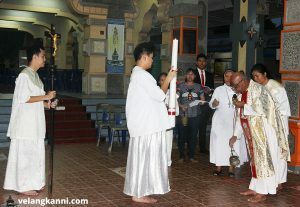 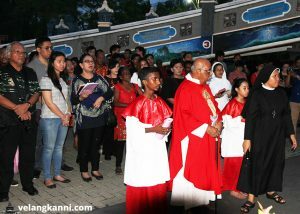 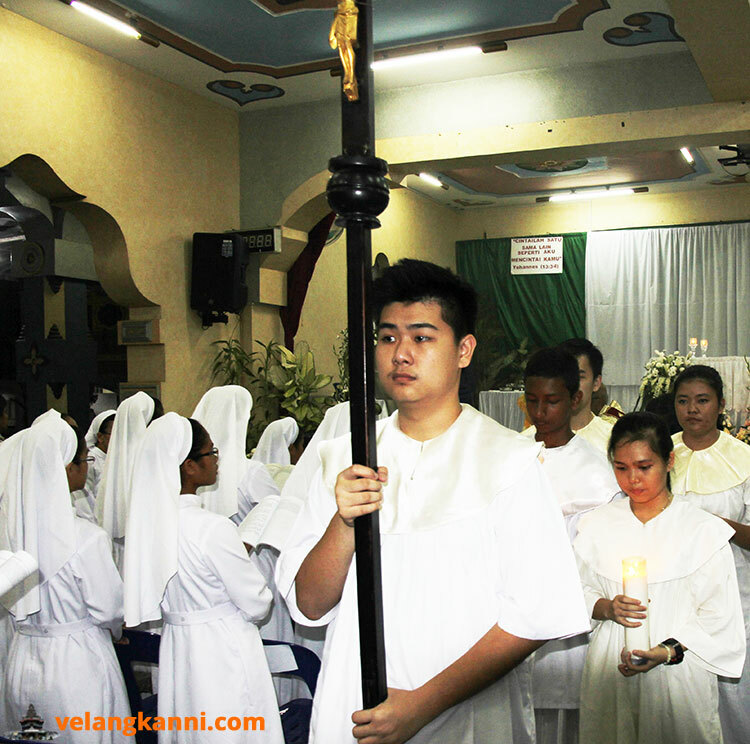 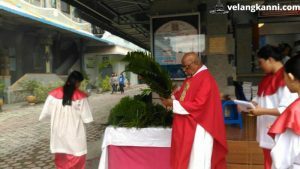 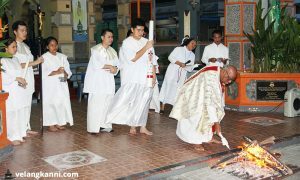 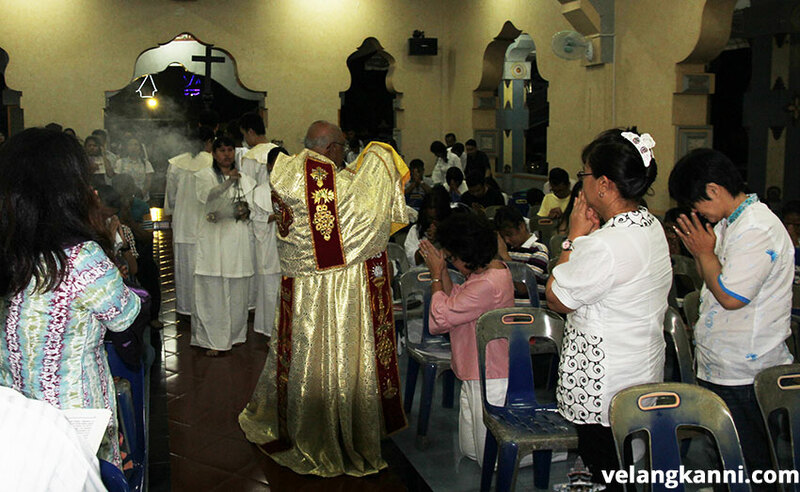 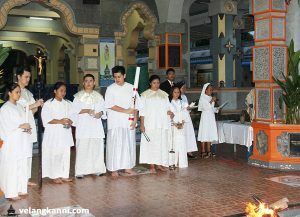 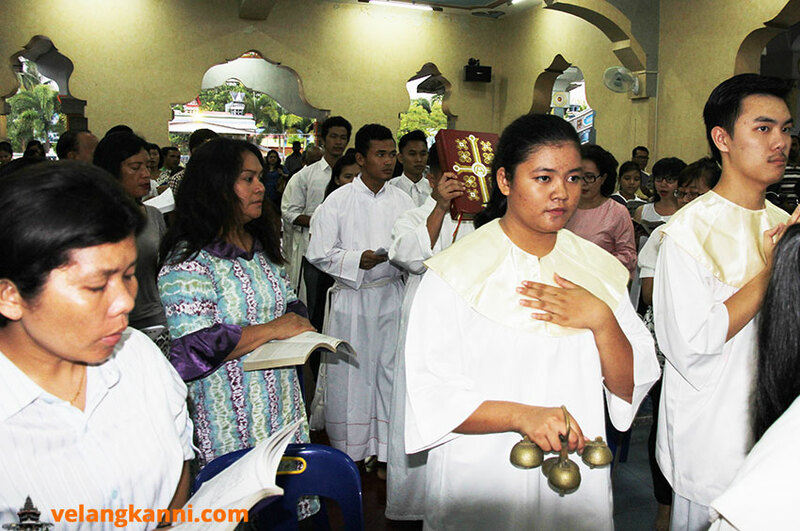 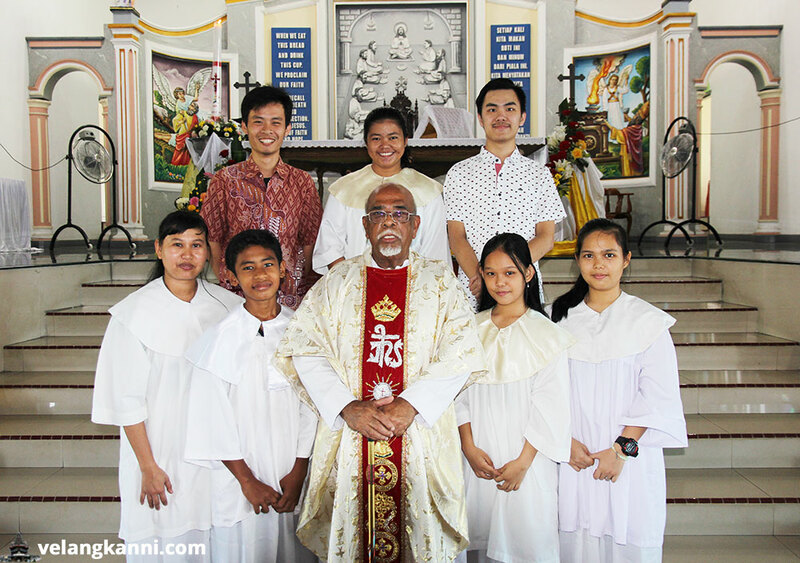 The altar servers of the Graha Maria Annai Velangkanni consisting of boys and girls, assist the priest in the celebration of the Eucharist. 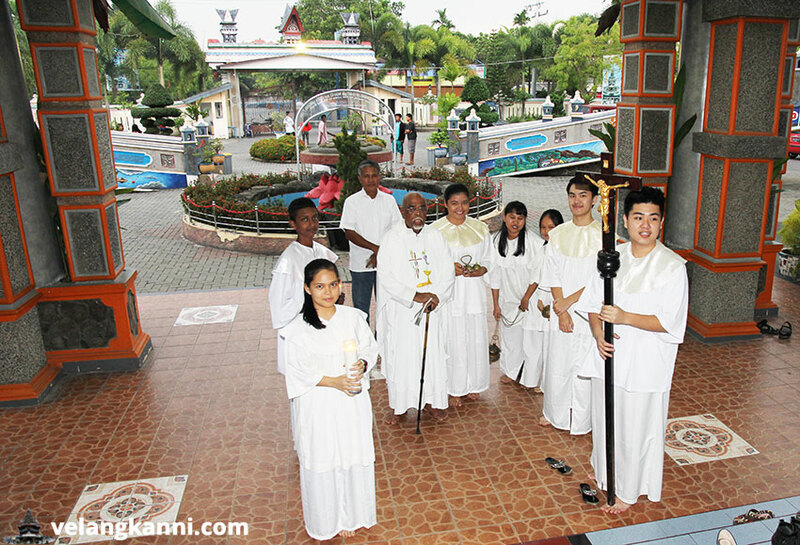 Every last Sunday of the month, they hold monthly evaluation meetings to discuss difficulties and obtain feedback. 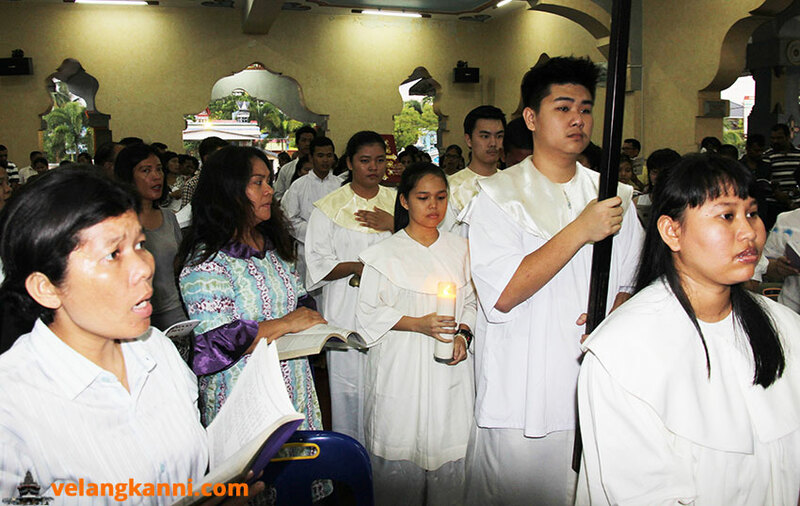 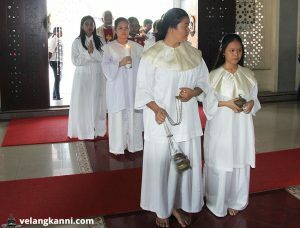 To be eligible as an altar server is not difficult, as it is generally accepted, they should have received their first holy communion, at least in the 4th grade (in that school year), have good intentions to be an altar server and willing to serve sincerely and willing to learn to organize. 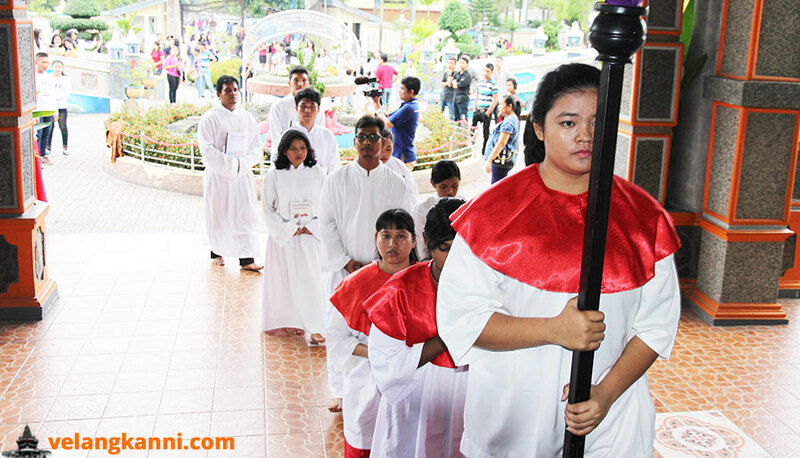 Altar servers on duty during the 2017 Holy Week celebration.